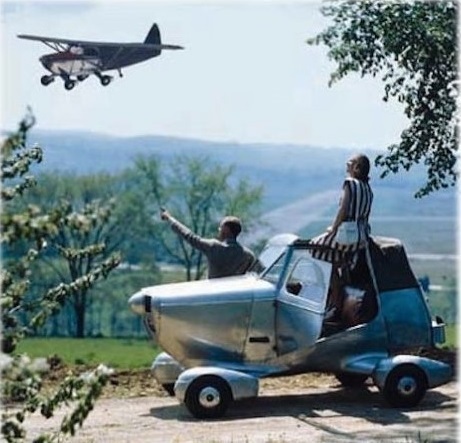 Robert Edison Fulton, an engineer of Danbury, Connecticut, in 1946 built a roadable aircraft which entered production, albeit only in very limited numbers, as the first fully‑licensed flying automobile in the United States. 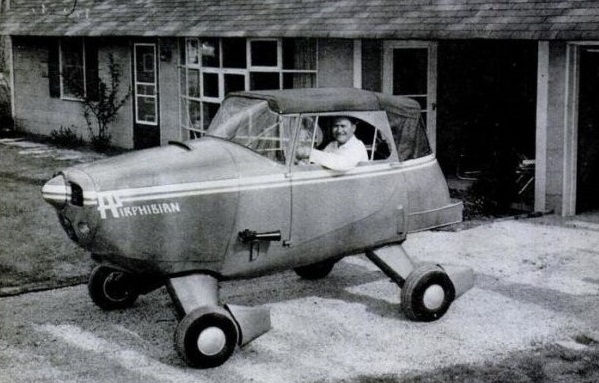 His Airphibian was a four‑wheeled, two‑seat, high‑wing mono­plane with a removable airframe which could be rolled away on its own retractable wheels after disconnection, leaving an aluminium‑bodied soft‑top coupe car. Fulton used a 165‑hp Franklin aero­engine for air and road drive, with automatic hook‑up of all flying controls. 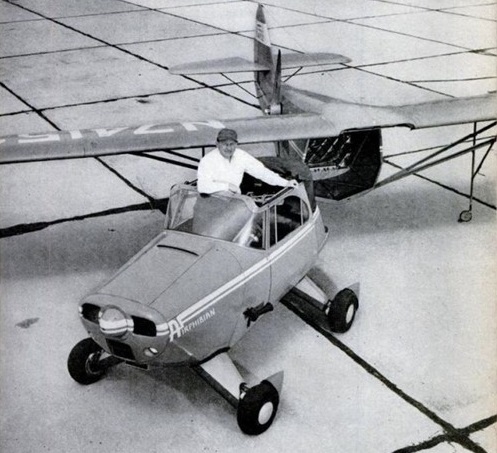 The aircraft's rudder pedals became brake and accelerator in the car, while landing lights doubled as headlamps. 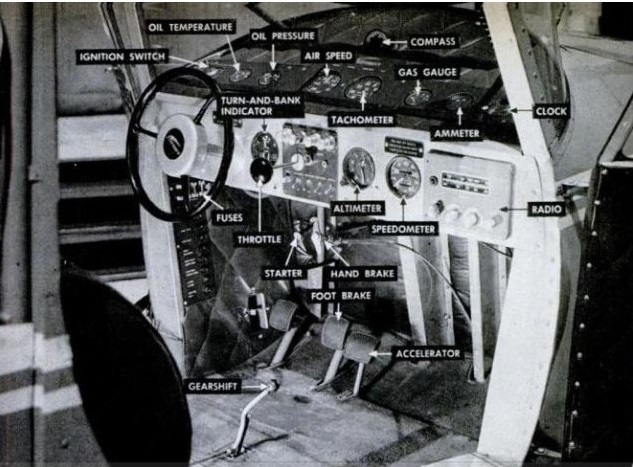 A safety device pre­vented the engine starting with the pro­peller installed unless all flying controls were connected and locked. The airphibian was used extensively on business and pleasure trips. The prototype Airphibian flew on November 7,1946, and was certificated in December 1950 as the Fulton Model FA-2 Airphibian. A production model, designated FA-3, appeared in 1954. Life magazine published a photo story of a flying visit to the theatre by the Fultons, who flew 100 km (62 miles) from their Connecticut home to New York's La Guardia Airport at 180 kph (110 mph), unhitched the aircraft portion and drove across town to Broadway, all in less than an hour. A fabric top was buttoned from the windscreen for driving in bad weather. 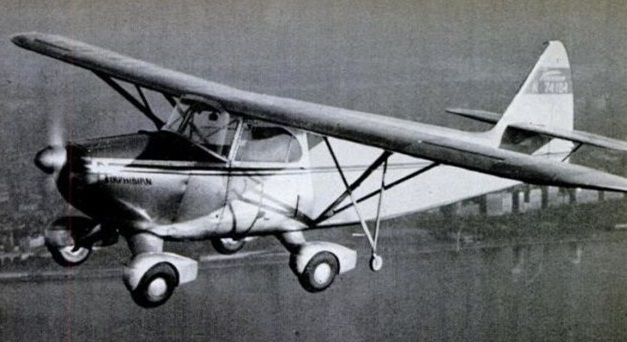 So successful was the Airphibian that Fulton announced in 1949 that he would build production versions for sale at $7000 to $9000 each. 'It flew fine,' a test‑pilot re­ported during the Airphibian's certifica­tion trials, 'and it drove well, too, but it just didn't perform in the air because of all that weight and drag.' 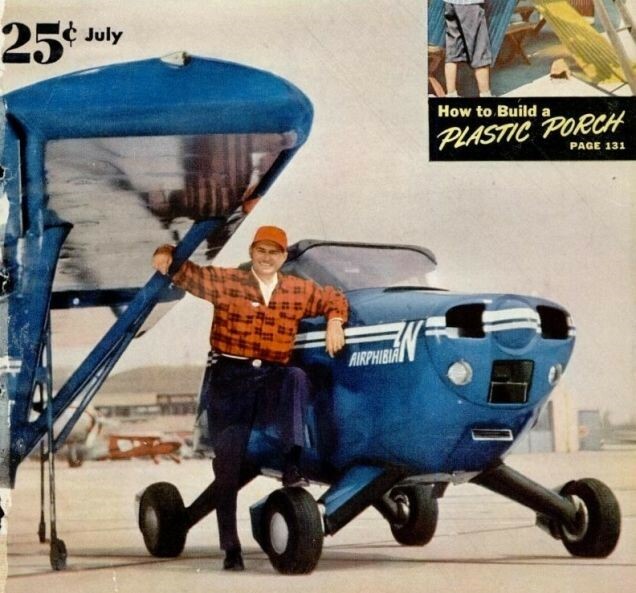 By 1950 the first three Airphibians had been driven over 322,000 km (200,000 miles) and made more than 6000 car/plane transformations. In all eight were built before Robert Fulton sold the rights to the design to private investors who never pursued it.